While there were others who dabbled with the formula before it, the Volkswagen Golf GTI is often considered as the genesis of the hot hatch. The launch of the Golf GTI Mk1 over 40 years ago was the moment that souped-up hatchbacks got serious, spawning a British love affair with the practical-yet-potent family cars. However, far from its revolutionary beginnings, Volkswagen’s iconic creation is now the reserved choice in the hot hatch market. If you’re a Coldplay-loving, chino wearer, the modern Golf GTI (now in its 7.5th iteration) is likely the hot hatch for you. It’s safe, it’s predictable but it is bloody good; Vee Dub’s GTI is still the benchmark against which every other hot hatch is measured. Here at Flat-Out though, we’re not always ones for passing under the radar. Thankfully, for less shy and retiring types, there are alternatives, the most outrageous of which is celebrating its 20th anniversary this year. 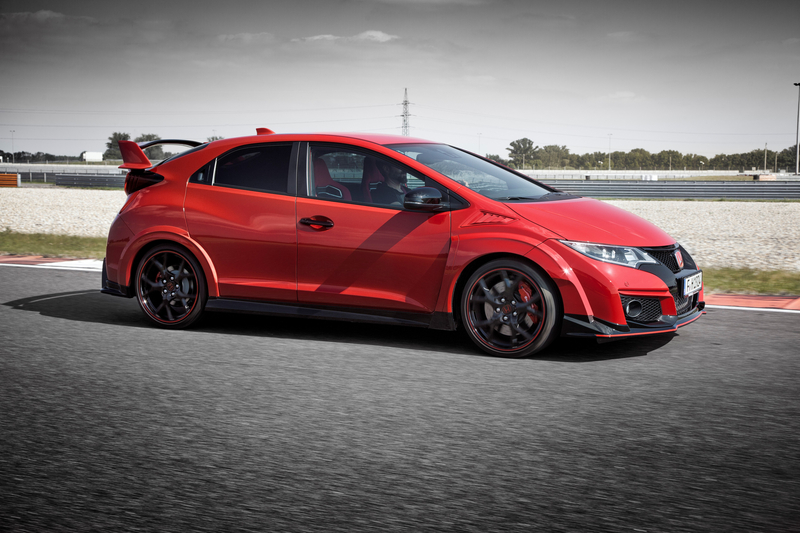 The original Honda Civic Type R – known to Honda fanbois [sic] as the EK9 – didn’t officially come to the UK. Instead we had to make do with a few grey imports, or some slightly shonky digital renderings in the first Gran Turismo game if you weren’t old enough to hold a driving licence. However, it left quite an impression. While the Golf GTI was putting on a bit of middle-aged spread as it transitioned from Mk3 to Mk4, the EK9 Civic Type R was a lithe featherweight, hitting the scales at under 1,100kg. What’s more, its 1.6-litre engine revved to an outrageous 8,500rpm, developing 185hp in the process. And yet, even with its iconic Championship White paintjob, the original Honda Civic Type R looked pretty plain, despite a fairly hefty rear boot spoiler. As hot hatches went, it was a bit of a sleeper. 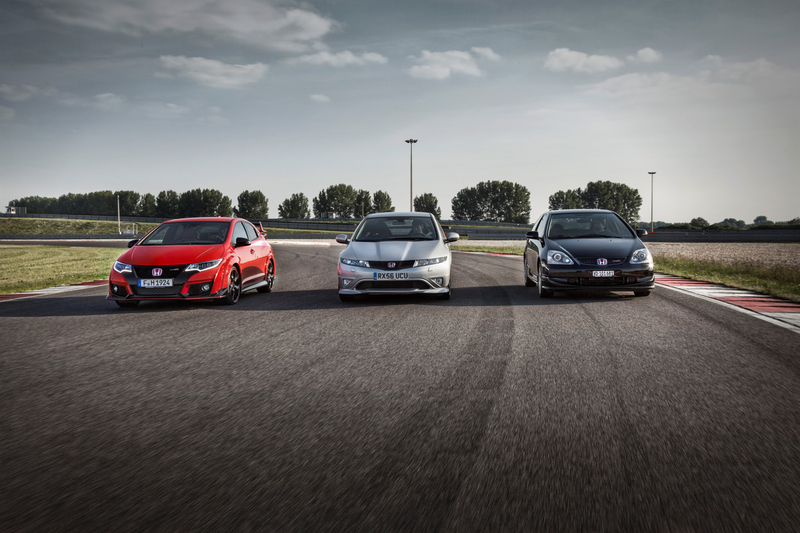 On British shores, the Civic Type R’s story really began with the EP3. 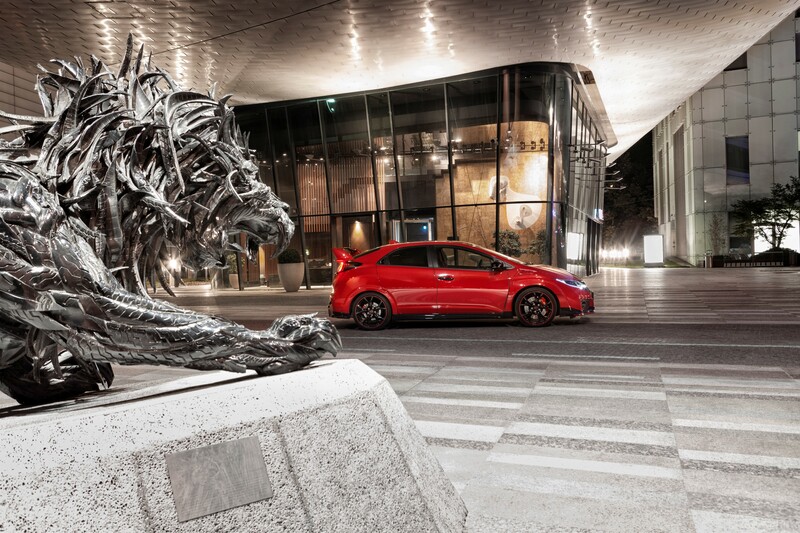 Although it looked nothing like its predecessor, the second-gen Civic Type R retained a relatively understated aesthetic. Yes, there was a set of large, multi-spoke alloys but the EP3’s body kit was actually quite restrained. Instead, it was all about the mechanicals underneath. Now a 2.0-litre powerplant, the engine retained its rev-happy nature and, allied to a limited-slip diff, close ratio gearbox and incredibly stiff suspension, the EP3 is still one of the finest handling hot hatches around. For the third-generation car – known internally as FN2 – things got a little bit more… triangular. 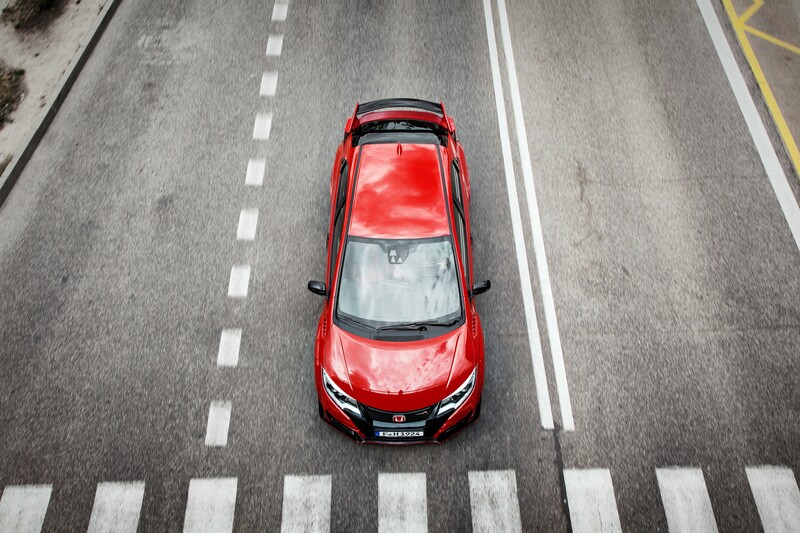 Honda has always revolutionised the Civic’s styling and the FN2 was the moment it showed it wasn’t scared to be wildly different to the competition. What didn’t change too much however were the oily bits. The engine continued to rev beyond 8,000rpm, the VTEC continued to kick in savagely around 6k, and the gearbox continued to snick slickly through each change. 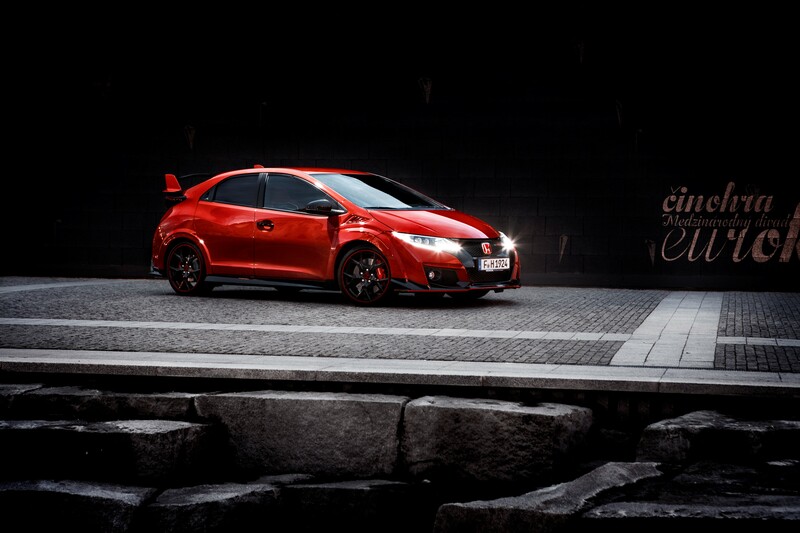 Now ten years old though, the Civic Type R was beginning to rack up its own share of flab and, coupled with a redesigned rear suspension system, it didn’t feel quite as satisfying behind the wheel. Where the bone-shaking stiffness in the EP3 could be excused for providing go kart-like dynamics, the FN2 was just a bit too crashy and unforgiving. 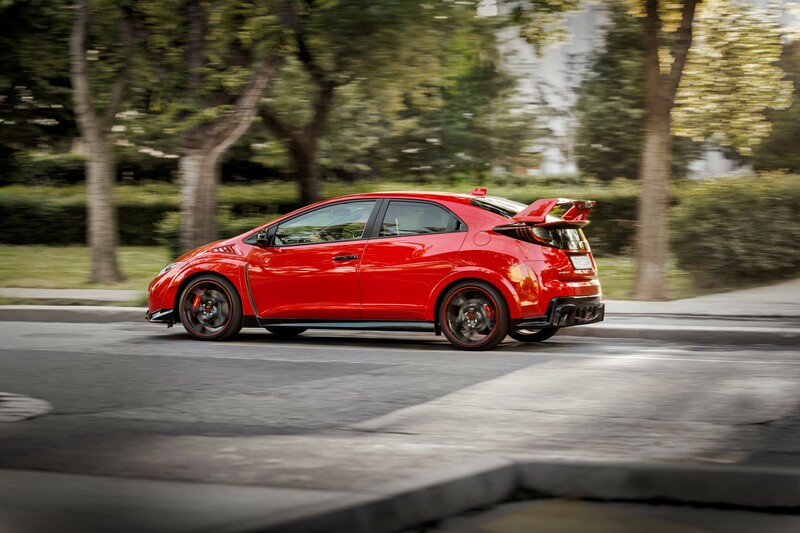 What’s more, where its rivals were beginning to push the limits in terms of speed and refinement, the FN2 Civic Type R was beginning to feel a little bit complacent. 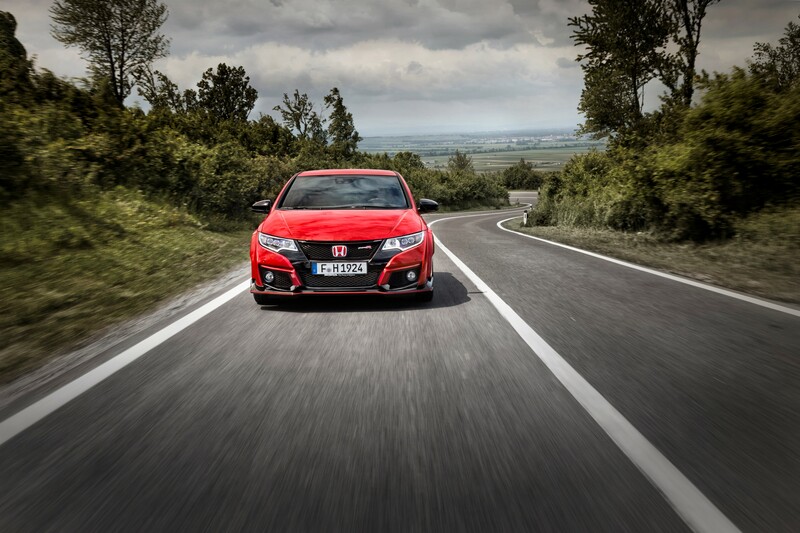 Honda knew it had to do something so, for four years, the Civic Type R went off the grid. And when it returned, the wait was undeniably worth it. At the end of the FN2’s lifetime, Ford launched the Mk2 Focus RS – complete with 300hp – and, in the Type R’s absence, Volkswagen moved the hot hatch game on even further with the Golf R, a four-wheel drive hyperhatch that suddenly threw everything else into shade. Everyone else was suddenly obliged to keep up in the arms race and, almost overnight, the hot hatch game moved from 200hp family hatchbacks, to 275hp-plus thoroughbreds, some with the added allure of all-wheel drive. Screaming naturally aspirated engines were a dying breed too, forced into extinction by ever more stringent emissions regulations and the need for more firepower. 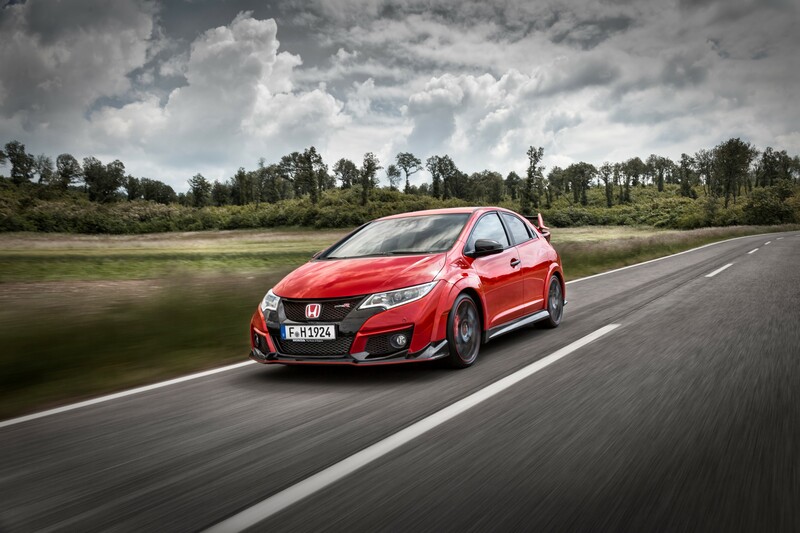 Turbocharging was the only way forward, but it went against the very ethos of the Civic Type R. For Honda, this was like the moment Porsche took the 911 water-cooled. Leading up to its launch in 2015, we had been continually teased with rumours and spy shots of the new Civic Type R. The concept renders showed a car unlike any other hot hatch before it, sporting a ridiculously large rear wing, huge box arches and a myriad of vents and aero flicks. Surely something this outrageous wouldn’t make production? Oh, how we were wrong! Known as the FK2, this latest Honda Civic Type R didn’t just tear up the hot hatch rulebook, it comprehensively shredded it and then set the remnants alight. Here was a hot hatch that looked genuinely like a race-bred touring car. And, even today (having been replaced by the FK8 iteration we drove recently) it still performs like one too. The engine is always the glorious highlight of any Civic Type R but, despite having switched to a 2.0-litre turbocharged unit, the FK2 didn’t really lose any of the previous generations’ fizz. The rev counter sprints around its sweep with real verve (aided by a slug of turbo torque in the mid-range) and the redline is a relatively heady 7,000rpm. The whole thing is backed up with a glut of whooshes and chirrups from the turbocharger and wastegate too, adding a bit of aural theatre to the occasion. Where the Golf R is more linear in its delivery, the FK2 Civic Type R provides a little extra lag before sucker punching you in the abdomen with a great big slug of boost, pinning you back into the seat; Honda has always fitted particularly perfect Recaro buckets to all its Type Rs, by the way. With 310hp on tap (much more than the likes of the Renault Megane RS), it could have been an animal but, despite feeding all its power through the front wheels, Honda’s especially trick limited slip diff does an incredible job of channelling the FK2 out of each corner without turning the front tyres into a flailing ball of molten rubber. 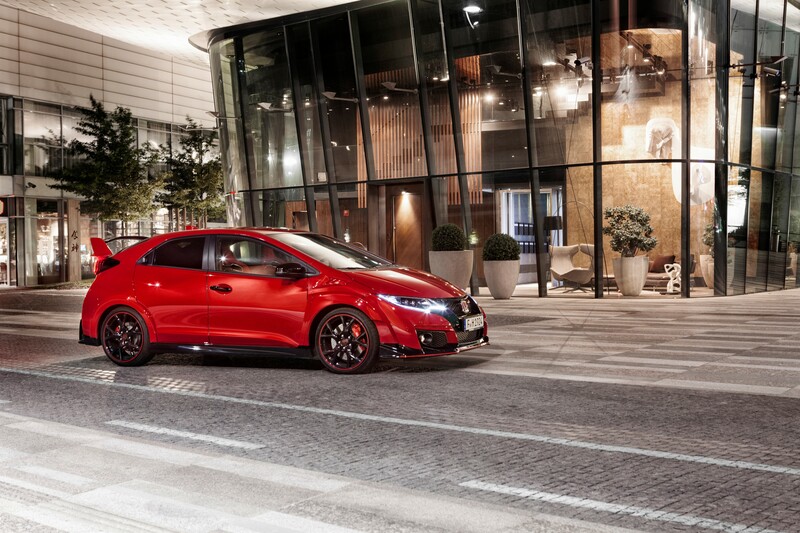 In an age where electronics seem to be taking the driving experience further and further away from the nut behind the wheel, the Civic Type R FK2 feels reassuringly mechanical, backed up by a six-speed shifter with a rifle bolt action. On track, the FK2 was in its element, the über stiff suspension, LSD and superbly tuned dynamics providing a hot hatch driving experience like no other. This was a Type R that blew its competitors into the weeds on a circuit, behaving more like genuine sports car than a family hatchback. On the road, things become a bit more uncompromising, the stiff suspension proving a little bit tiring after a few hours in the hot seat. The gearing is long and the grip on offer high too, meaning that things only get truly exciting at police-baiting speeds. But, longer and wider than its predecessors, the FK2 Civic Type R offered a genuinely practical alternative to the monotonously successful Golf (even if the interior quality wasn’t quite on par with its German rival, and the styling could be perceived as a bit Halfords). 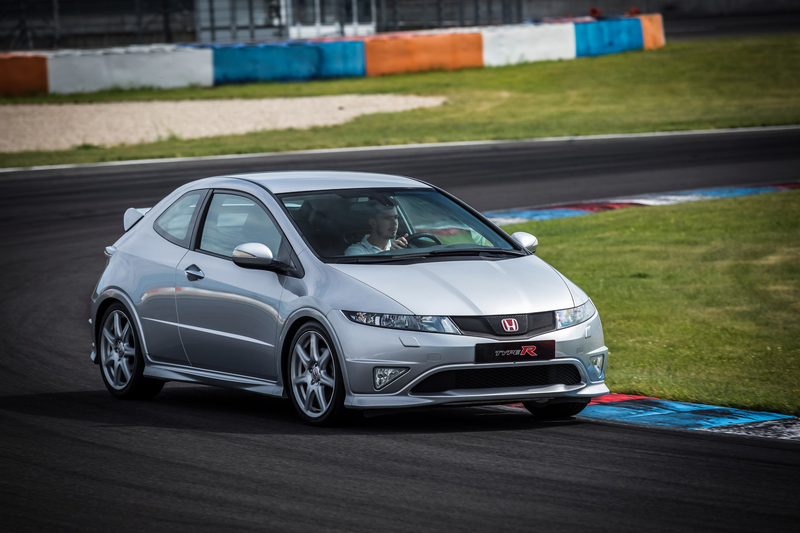 The FK2 isn’t perfect but, in the history of Civic Type Rs, it marked an important milestone: the moment Honda went completely crazy, albeit in the best possible way. It also helped to set the stage for the even more impressive FK8 generation car (launched just a few months ago). As we found, the FK8 Type R has refined many of the previous car’s foibles and continues to prove, in the face of ever tougher four-wheel drive rivals, that a mental 300hp-plus, front-wheel drive hot hatch can be a sane choice (as long as your wardrobe isn’t packed with cotton trousers and sensible flannel shirts). It may still be too young for ‘modern classic’ status but the FK2 will undoubtedly become a big part of Civic Type R folklore, not as the best of the breed but as the car that helped to get it there.